Our website uses these cookies to improve your experience. Don't worry, we don't use anything invasive. Ensuring that your customer consistently chooses your products and services over those of your competitors. The core of the customer’s relationship is the product or service itself – a great product is its own best advert and reason to re-purchase. A strong brand provides a compelling mental shorthand that drives re-purchase. Additional inducements can provide a strong incentive to return. Now, you might expect that digital would undermine any form of customer loyalty, for two reasons. First, the theoretical cost of switching is zero – a competitor is only a Google search away, diverting a potential customer towards a wide variety of reasons and opportunities to switch. Second, the cost of replicating a digital product or service is relatively low – anything that’s been built, can easily be copied. But precisely the opposite is true. Digital affords entirely new ways to help brands engage with customers, extend core product offerings, package new services around them, or deliver new, simpler or better incentives to re-purchase. All of which provide incredibly strong incentives for customers to remain loyal to a particular provider. We’ve worked with a range of organisations to help set their digital loyalty strategy, and have identified the key elements that drive consistent customer engagement over time. 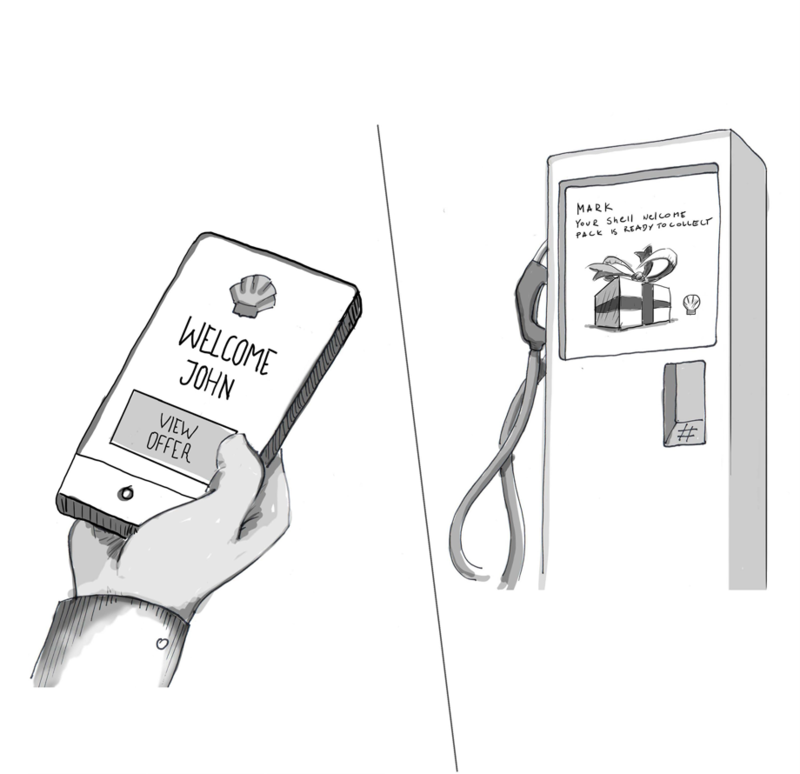 Customers crave convenience, choice and control. The more of any of these you can provide, the more they will return. And digital allows brands to afford an unrivalled range of all three. When added to a product or service, they produce an incremental reason for a customer to return again and again. For instance, one cup of coffee is very much like another – there is, on paper, no reason to prefer one supplier over another. 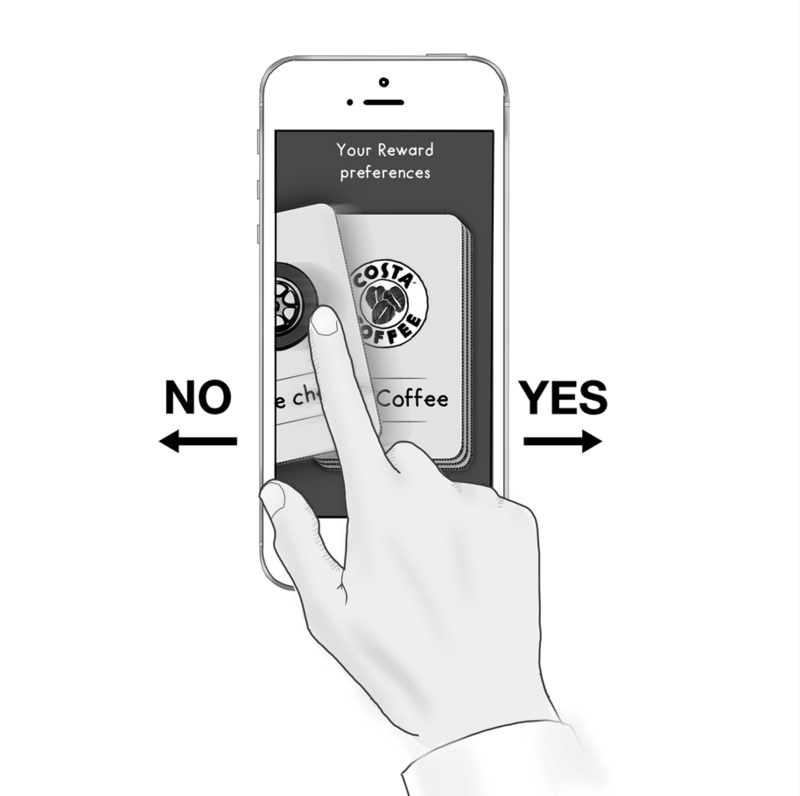 But an app that allows a customer to order and pay for their drink before they walk in the door of the coffee shop, then pick it up as soon as it’s ready, provides the additional convenience that drives repeat purchase. Here digital provides a more convenient way to buy, augmenting the product offering, giving a reason to prefer one provider over another, and driving loyalty as a result. 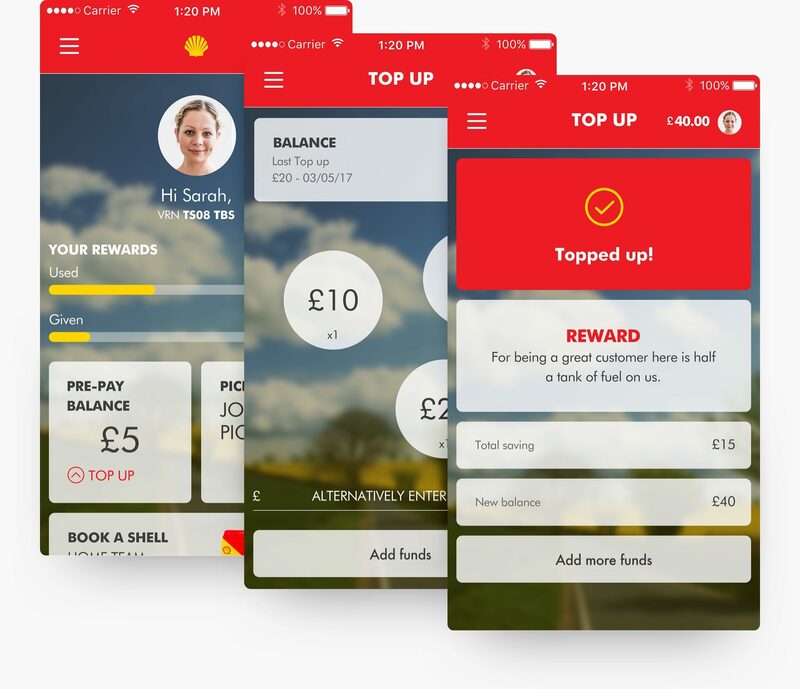 When we were approached by Shell to help them re-think their customer loyalty, integrating their ‘Fill Up and Go’ payment solution into the proposition was a key opportunity for us. As a way to speed the purchase process, and deliver additional convenience to the customer, it’s a service that can make the transaction faster and simpler, delivering convenience and control to a buyer, and providing a distinct reason to choose one brand over another. Whilst digital removes some barriers, it introduces others. You can choose a similar product from a variety of providers, but buying from one provider over another requires set-up and effort – there is a cost to switching. So, if you can provide a reason not to switch, remove another mental barrier, and give people another reason stay with their current provider, they will. Amazon’s ‘Prime’ offering gives its subscribers next day delivery, access to two hour delivery, via Prime Now, and a wealth of TV and Movie content. Customers have to pay to become Prime members. But once they’re on-board, they rarely go elsewhere, and they spend a lotmore with Amazon – because they want to feel like they’re getting the most from their purchase. Ocado’s ‘Smart Pass’ uses the same logic, to precisely the same effect. Entangling a customer into your ecosystem with additional service, creates more loyal and valuable customers. 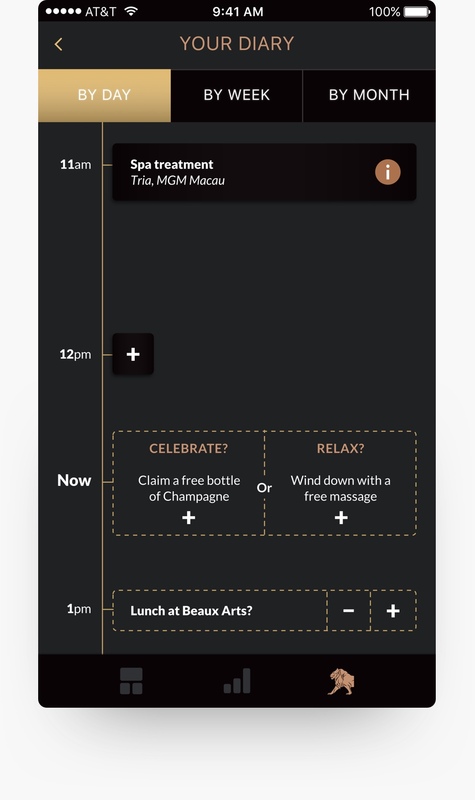 When we worked with MGM, on developing their ‘M life’ loyalty strategy, we wanted to enhance the customer’s on-resort experience via an app, as this gave us multiple opportunities to entangle a customer in the brand’s ecosystem. First, an app gave us the means to track customer behaviour and ensure that we understood their needs, interests and behaviours. 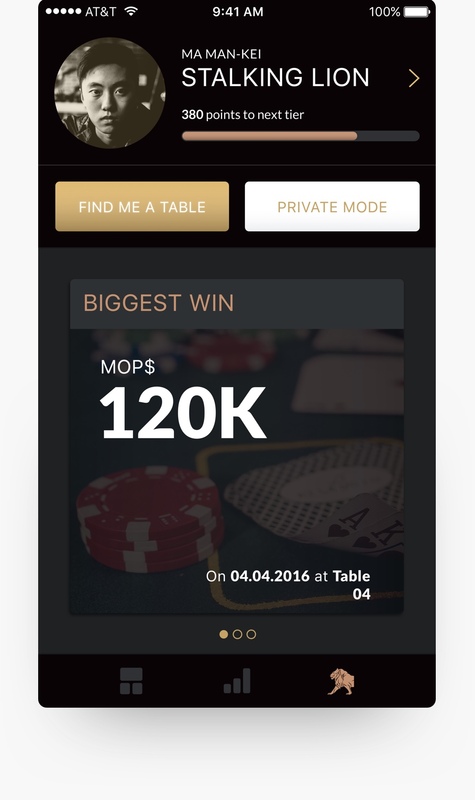 Third, we ensured that the app was the way to engage with the services and solutions on-site – letting the user unlock new experiences with their phone. 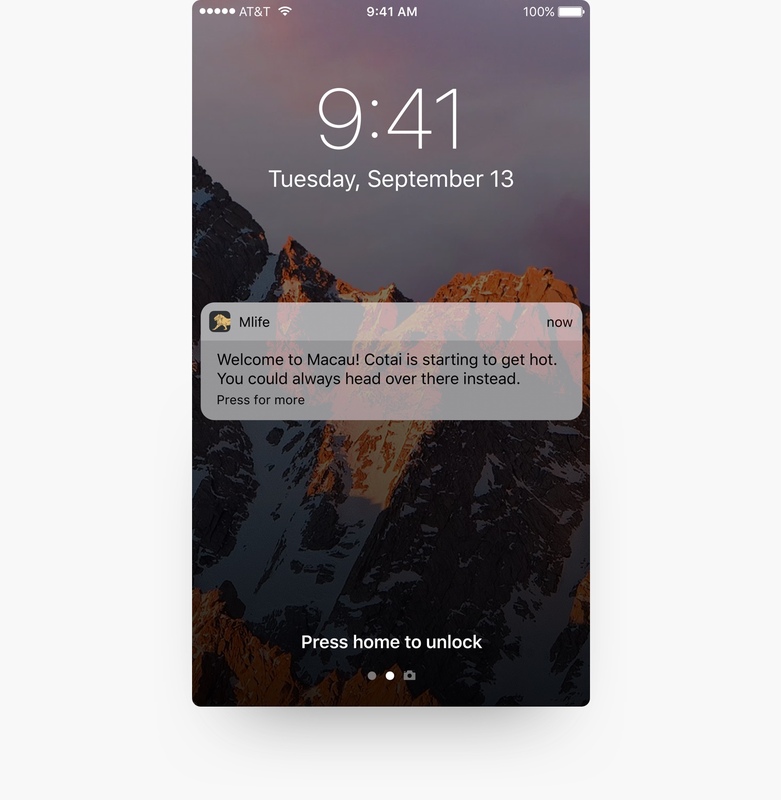 Finally, the App made sure it was easy to translate interest into action – once we’ve interested a customer in returning, translating this interest into action is only a thumb-press away. Everybody wants to feel special. And as the most trackable medium, digital provides numerous means to recognise and acknowledge an individual. In its most basic form, this can take expression through simply being present with your product, to remind a customer of their interest through ads or emails, for example, by sending an email on their birthday, or sending them a discount offer. But digital affords even more opportunities to recognise a customer, and demonstrate your appreciation of them. Brands can personalise their customers’ experience, showing only those options they know to be relevant to them, or by offering them a visible statement of status within their community. 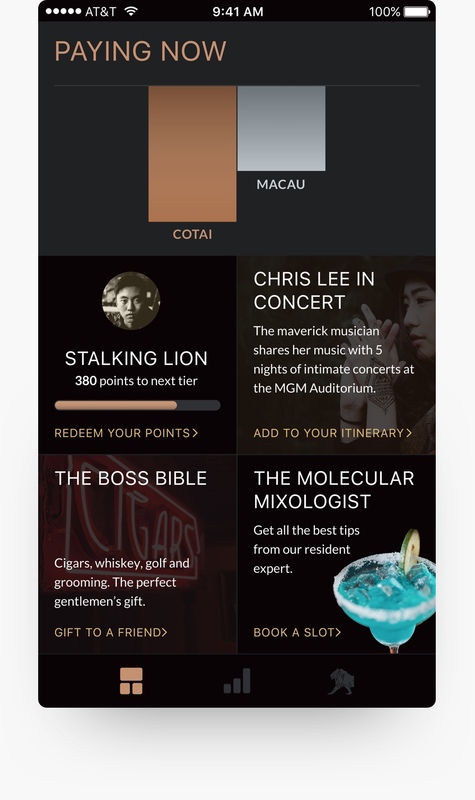 When setting the strategy for MGM Macau’s M life loyalty strategy, recognition was a key component of the plan. For instance, using geo-tagging to recognise a customer on arrival at the hotel, to provide them with a personalised greeting. 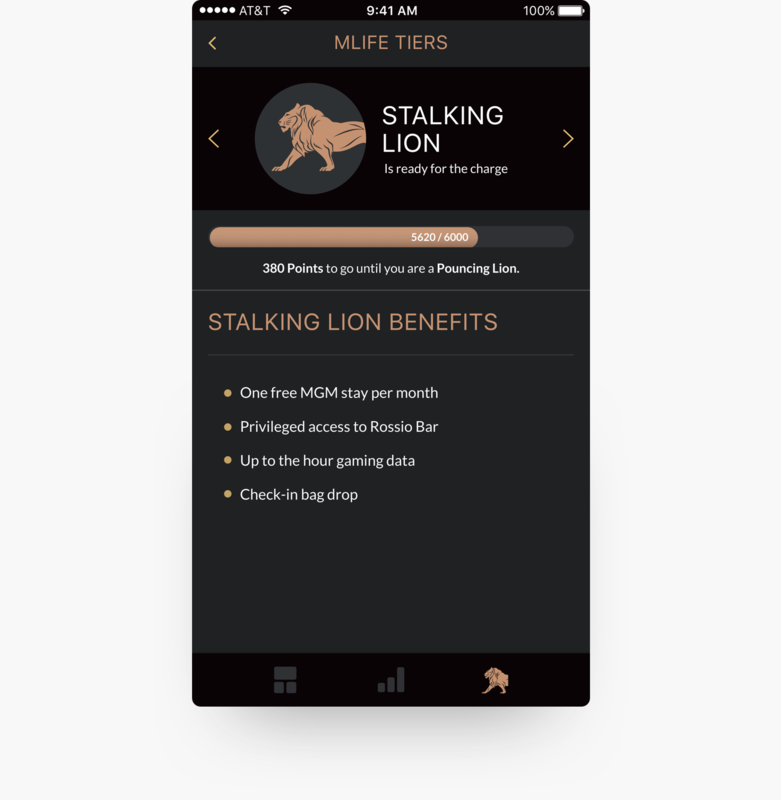 Equally, MGM needed to build a service that not only recognised their customers, but visibly shared this recognition amongst a customer’s community, to show how valuable that customer was and reinforce the brand’s recognition of them and their value. Of course, the simplest form of incentive to remain with a particular provider, is a reward based on the customer’s tenure and value to the company. In many cases, these schemes simply reward customers for the value of their continued custom, often using points as the medium of value. These forms of loyalty programme have evolved from their earliest incarnations, in things like Greenshield stamps, via loyalty schemes, like Tesco Clubcard, to airmiles programmes, and reaching their most advanced expression in digital media, where customer behaviour is incredibly easy to track, and rewards are instantly available. This thinking informed our approach to the M life proposition, where customer’s continued engagement is repaid through privileged access to opportunities otherwise unavailable, and an enhanced experience designed to evoke unique and memorable moments. 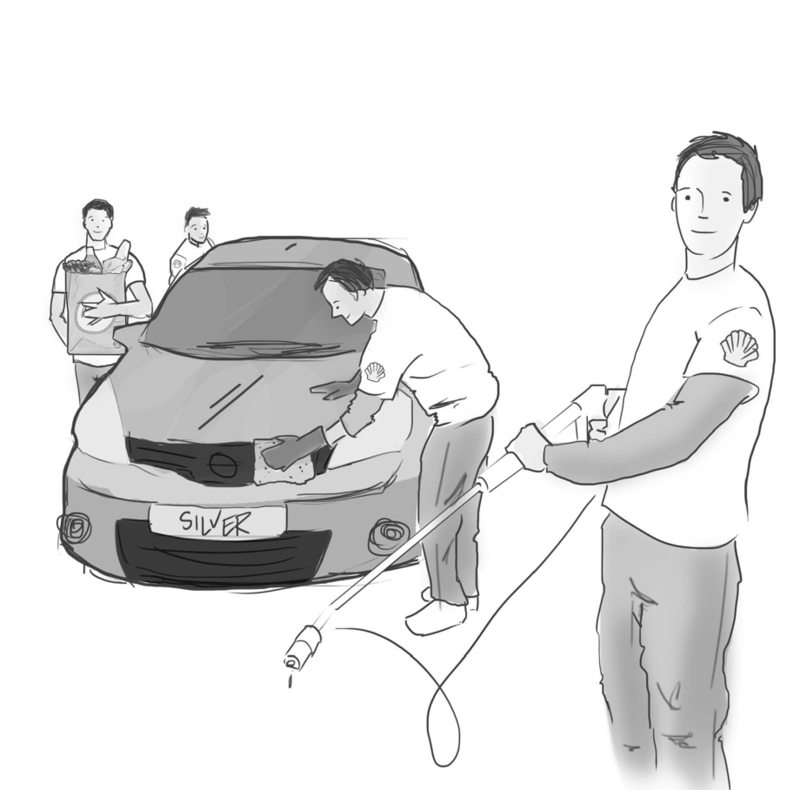 For Shell, we developed the concept of “Silver Service” – as well as Loyalty Programme members would be entitled to free window-washing, clean and cosmetic service at the station, with the best members entitled to receive this at home – a real world reward for loyalty tracked through digital means. These four elements can be considered in isolation. But it is striking how each influences the other, and how a combination of all four, in a single experience, creates an even more useful, entangling, enticing and rewarding loyalty experience. That’s why whenever we work with clients to devise a loyalty solution, we consider how best to design these elements to work together into a single, unified service for the customer’s convenience. 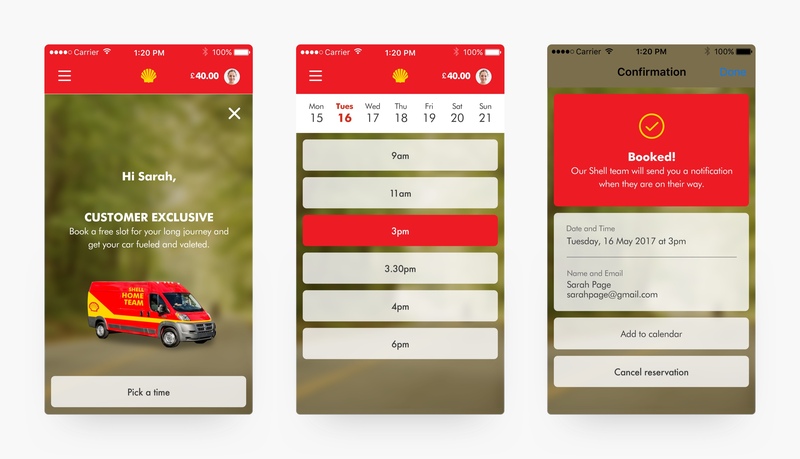 In our work with both MGM and Shell, the solution was a multi-platform programme, centred around an app as the focal point for the customer’s relationship with the company – bringing together utility, entanglement, recognition and reward into a single point, for maximum impact, ease of use and simplicity of control. While digital technologies provide the means to create a connected loyalty experience, digital is only one touchpoint among many for the connected consumer. In-store, on-site, in-person – each affords an opportunity to deliver an enhanced experience to the loyal customer. Contemporary loyalty programmes should always seek to deliver incremental value across channels – not just in digital media. Which is why in our work for both MLife and Shell, we have sought to identify all those points in the customer journey where we can provide additional benefits to those loyal to the brand – in whatever medium and through whatever means is most relevant to the customer. That execution doesn’t just depend on us. It also depends upon the understanding and buy-in of stakeholders across a client’s organisation, as well as its partners and suppliers. So when we create a digital customer loyalty strategy, we don’t do it in isolation – we actively engage with all the stakeholders, to create a common vision for the customer experience. And when we say vision, we really mean it. 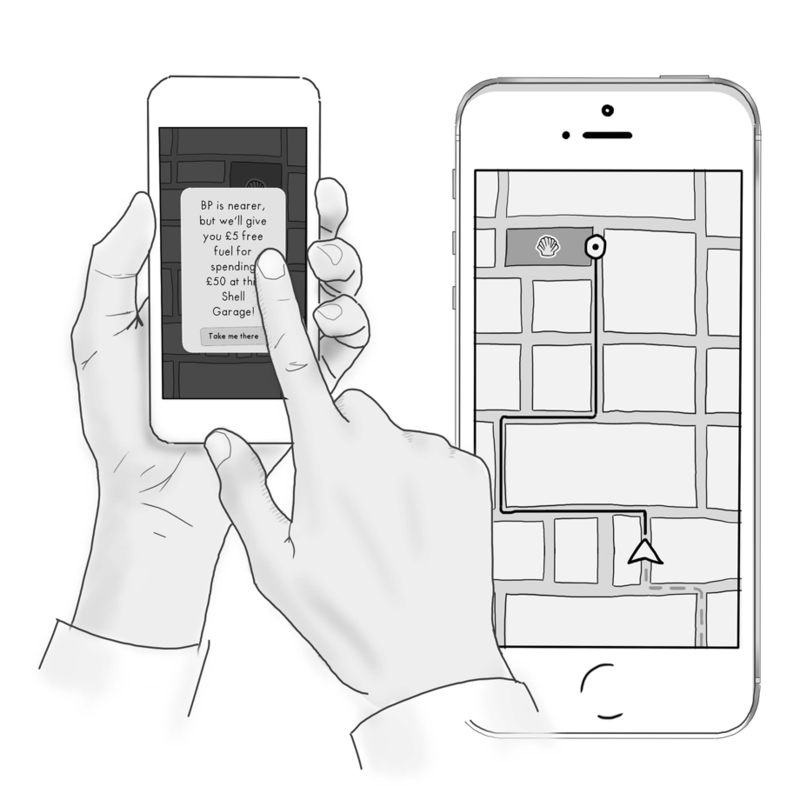 We create annotated storyboards and visual maps of the experience, so that everyone can see and understand – not just the theory, but the intended future practice of the principles we propose. 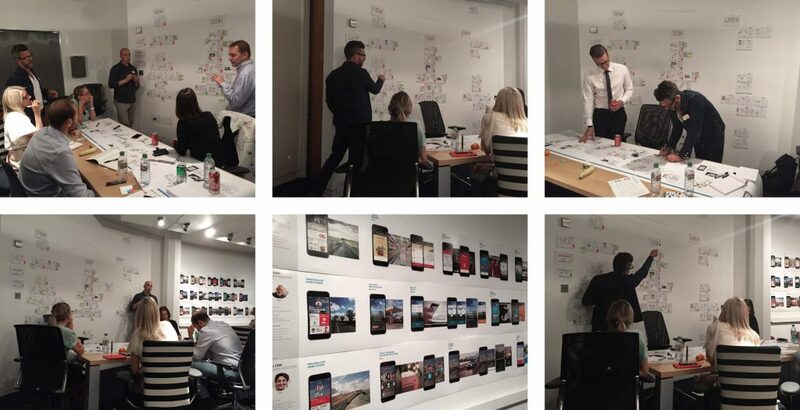 In this way, we create a collective common understanding of the customer experience we want to construct, which all the stakeholders have literally seen and bought into. We can then use these visual aids as a reference point for the detailed design we develop and, importantly, its real-world implementation by us, the client, their suppliers and partners. 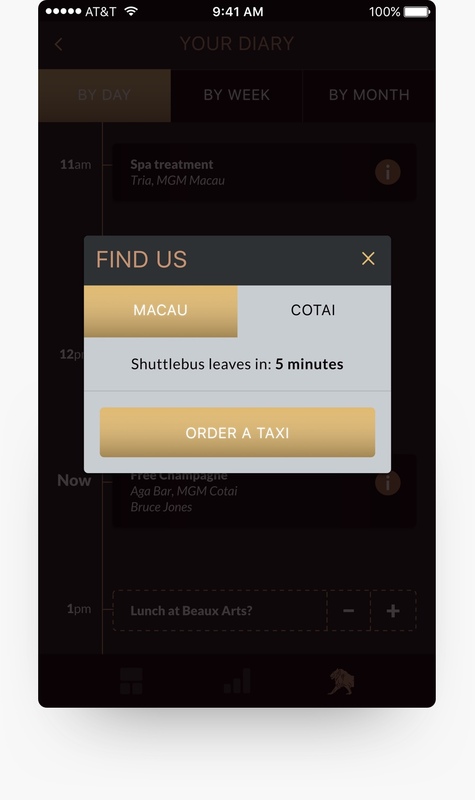 This helps ensure that all the nuance of the loyalty programme we captured in the visualisation is translated directly into the execution of the customer’s actual real-world experience. If you're interested in hearing more, or you'd like to discuss how we can help you, please get in touch. Design is a process centred on meeting human needs, it requires consideration of the numerous factors that will affect a person’s perception, interaction and engagement with the world.